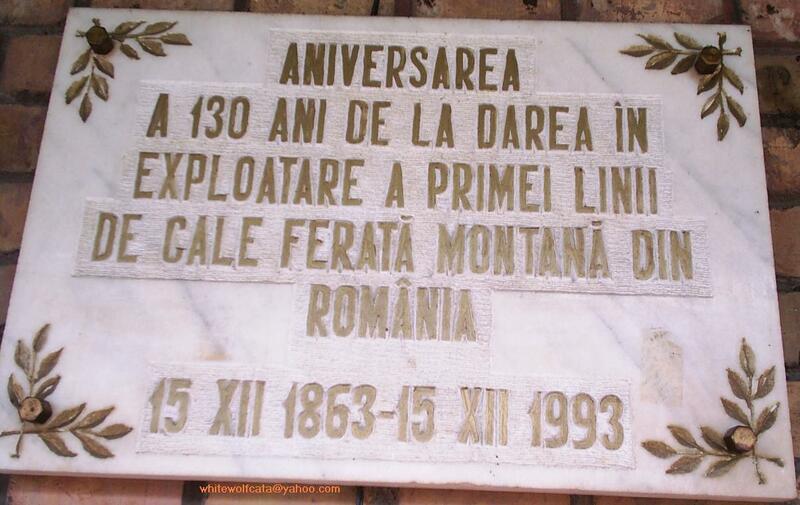 130 years aniversary of first Romanian mountain line, Oravita-Anina. 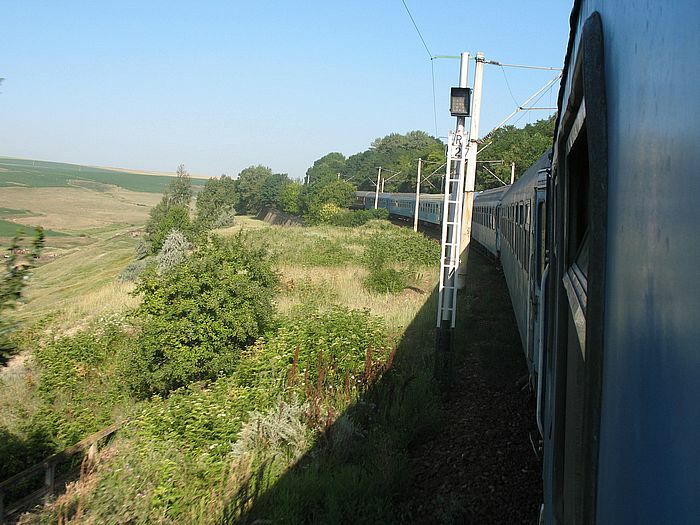 Tren accelerat Timisoara-Iasi somewhere between Pascani and Iasi. 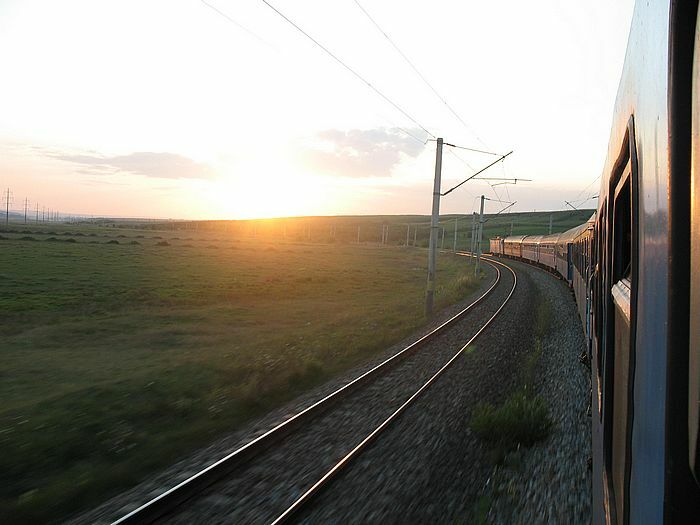 Tren accelerat Iasi-Timisoara somewhere between Iasi and Pascani shortly before sunset. 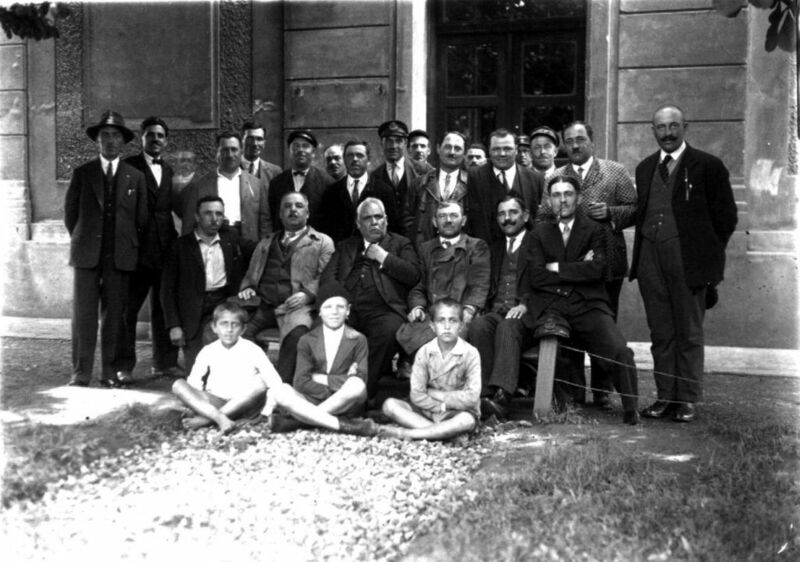 The "Bahnhofsvorsteher" of Czernowitz and his staff in 1930. 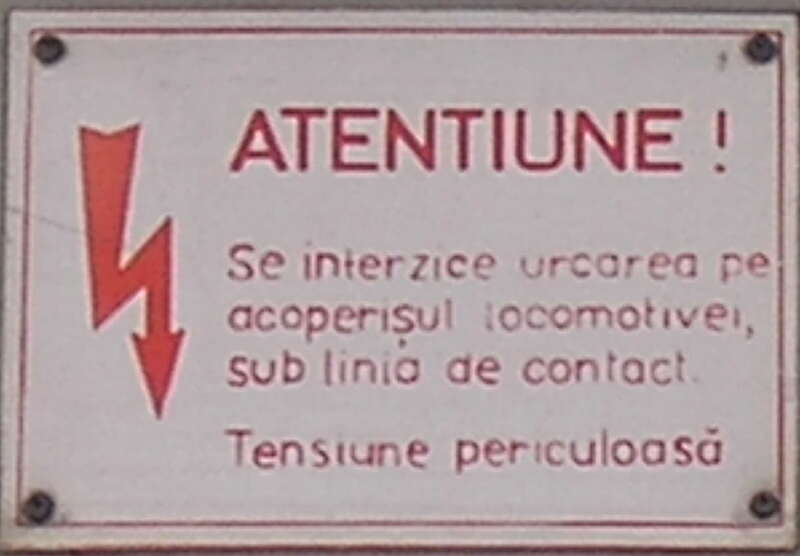 CFR inscription on a electric locomotive " Do not climb on the top of locomotive, Danger voltage ! " . 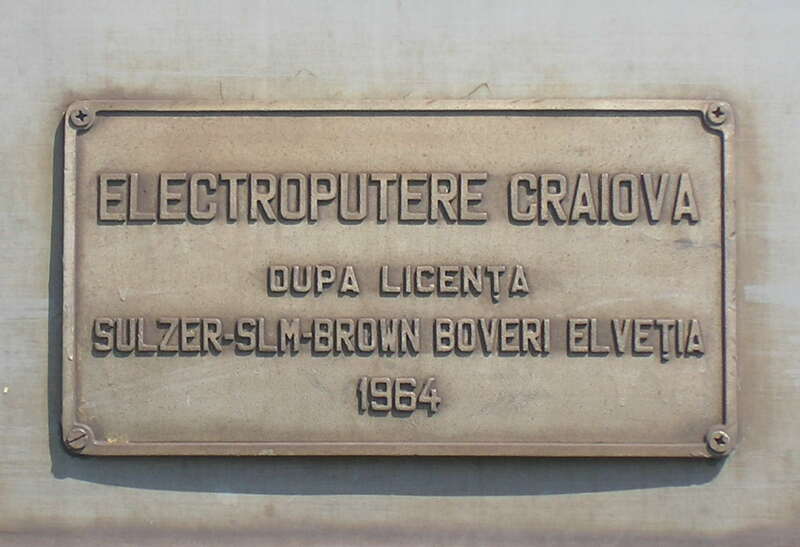 CFR electric locomotive manufacturer Electroputere plate of old type . 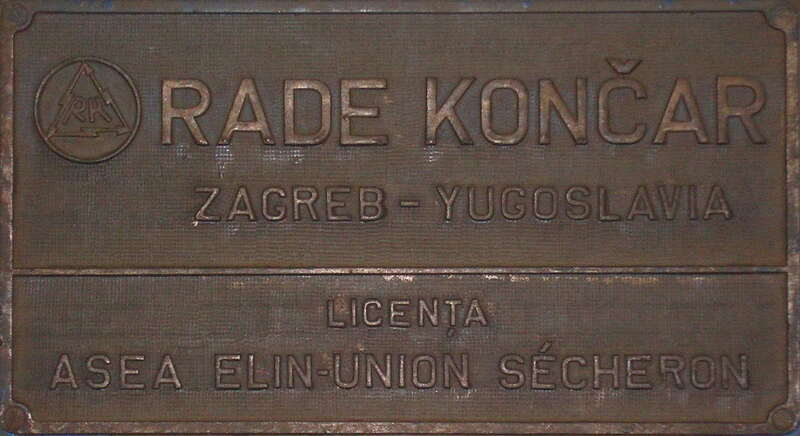 CFR electric locomotive manufacturer's plate . See , it was modified after the loco's modernisation . 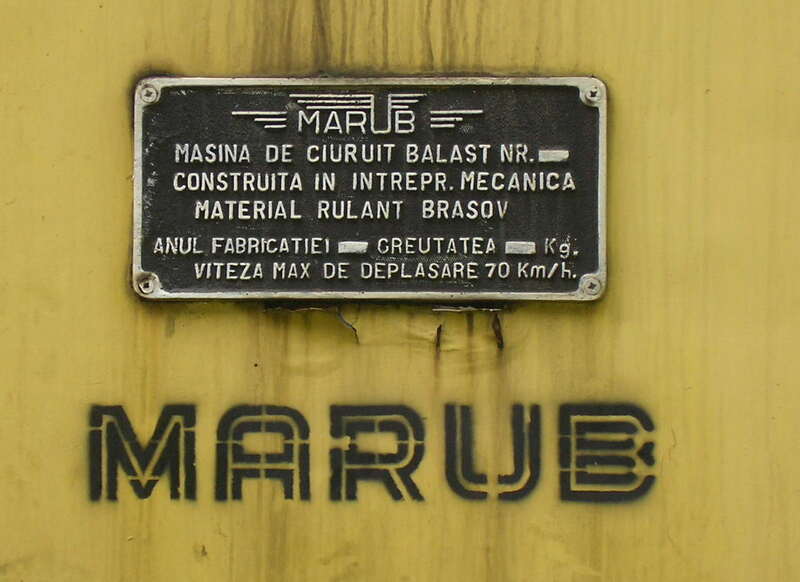 CFR electric locomotive 040-EC plate, with manufacturing details . 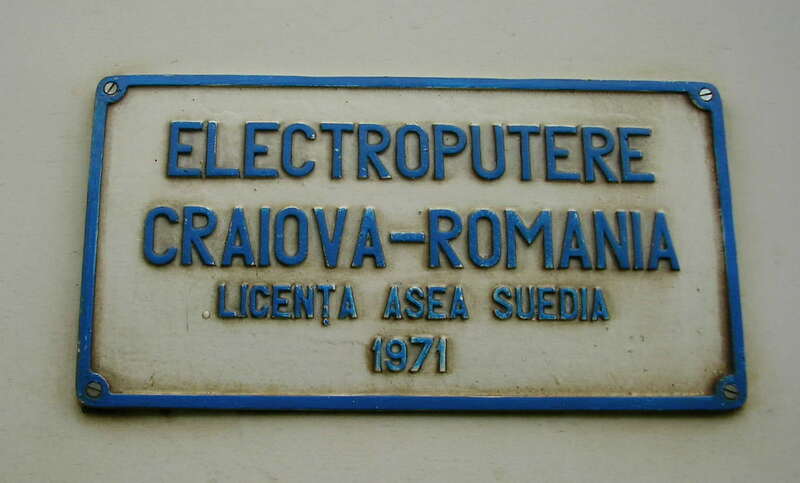 See they are components wich were build in Serbia . 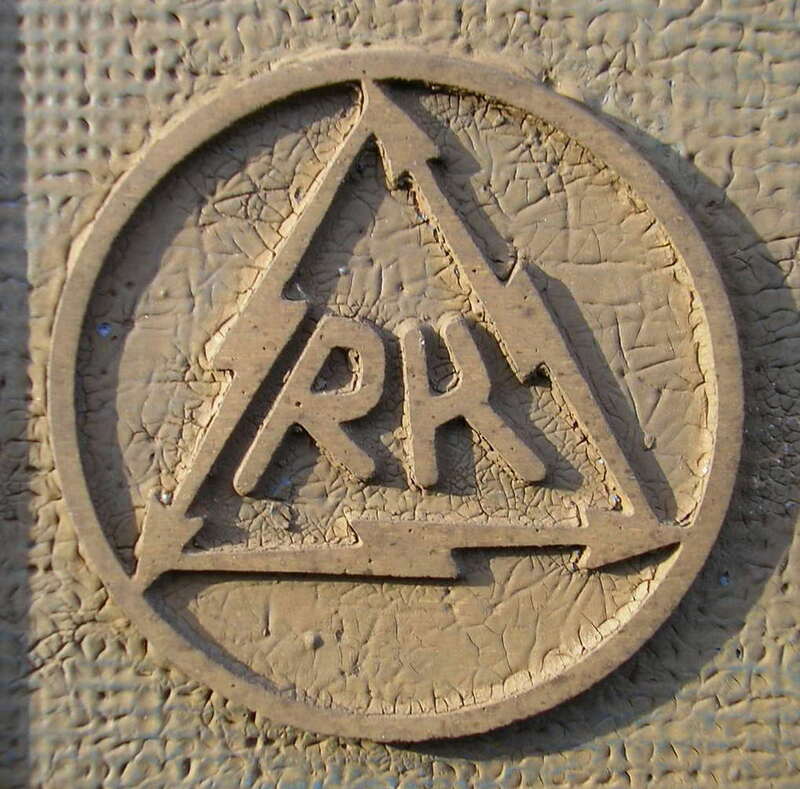 CFR inscription on a ballast cleaning machine, of MCB450 series . 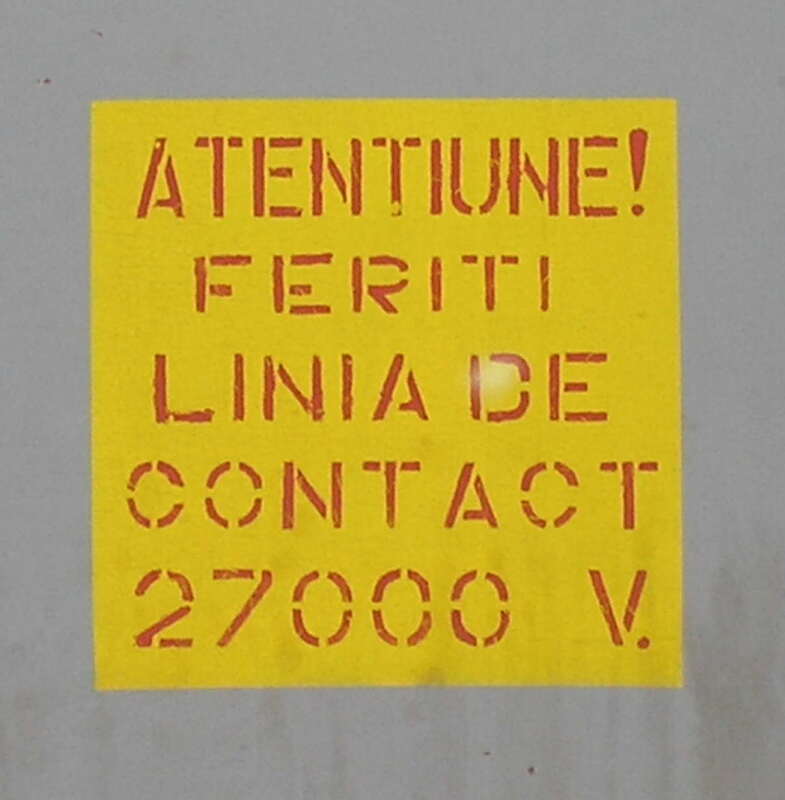 CFR inscription of command post B , on a 040-EC locomotive . 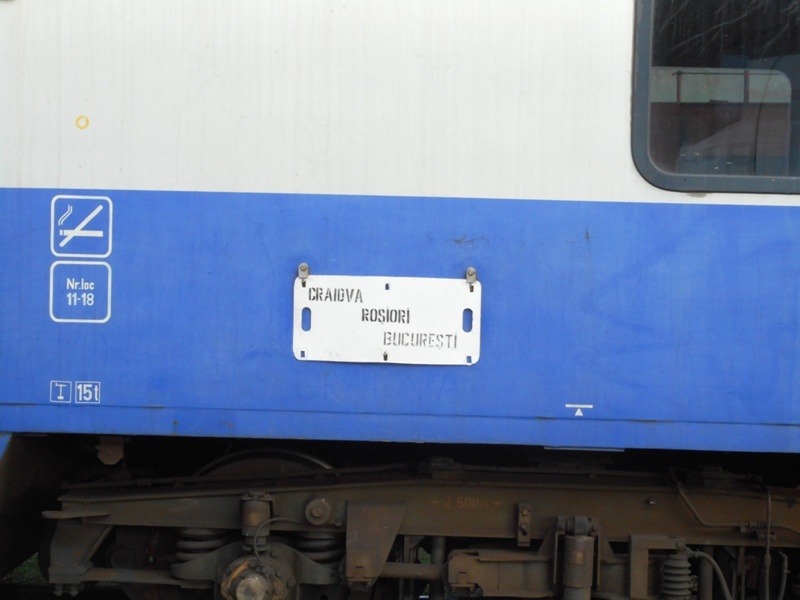 CFR manufacturer's plate on a 040-EC locomotive . CFR inscription "keep out from the contatct wire , 27000 V !!! " 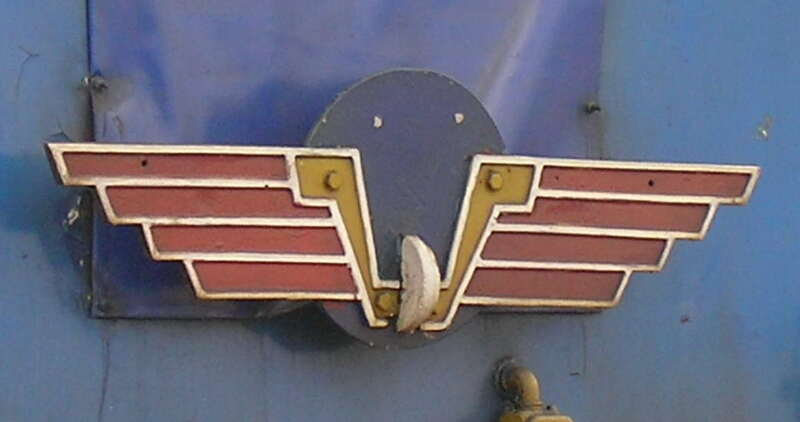 CFR former logo still mounted on a 060-DA locomotive . 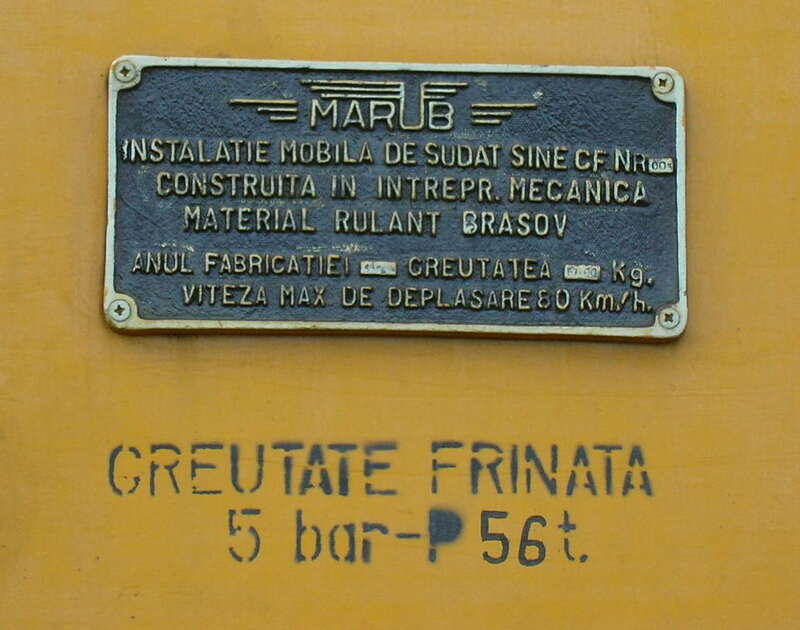 CFR technical and manufacturing inscription on a welding draisine ! 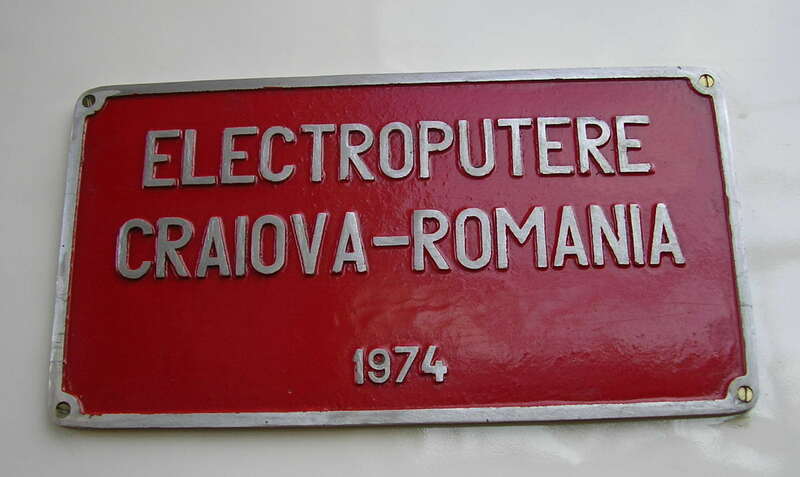 CFR diesel-electric locomotive manufacturer's ( electroputere ) old type plate . 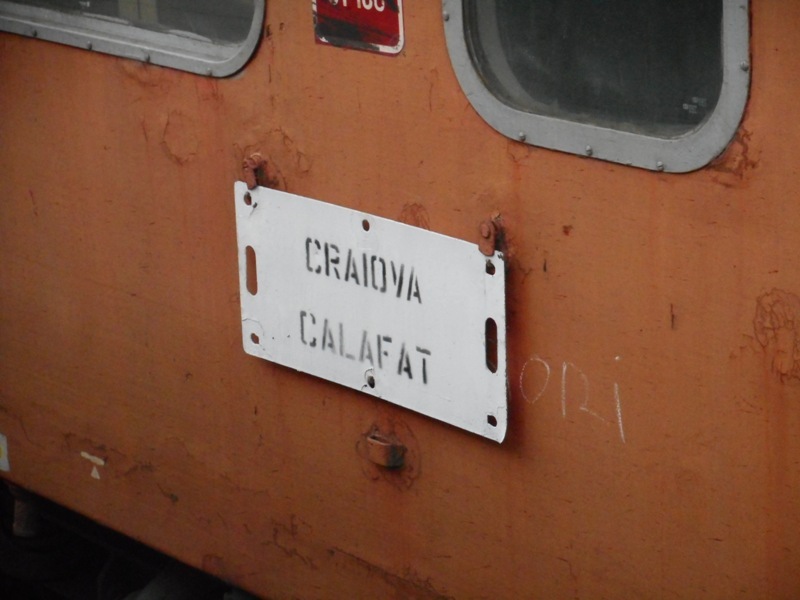 The CFR initials , seen on most locomotives of the Romanian Railways . 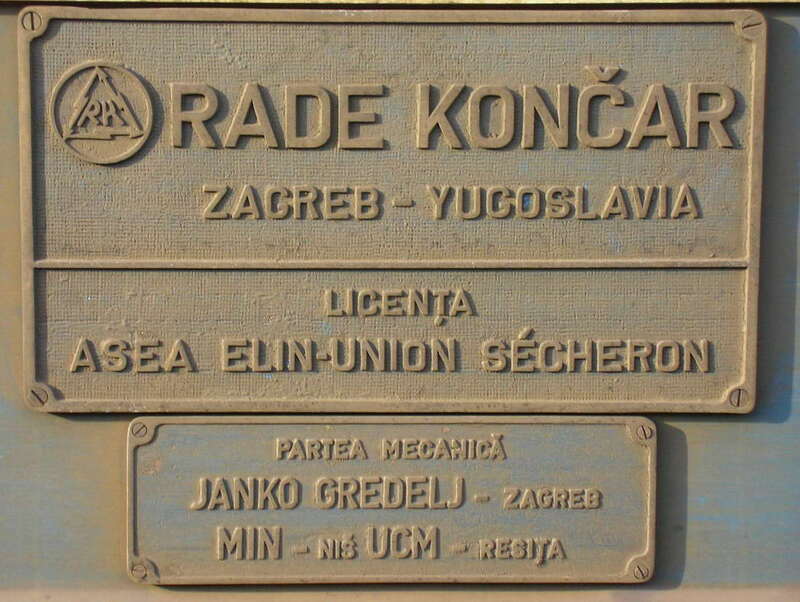 CFR modernised locomotive EGM-925 modernisation dates inscription . Look ! 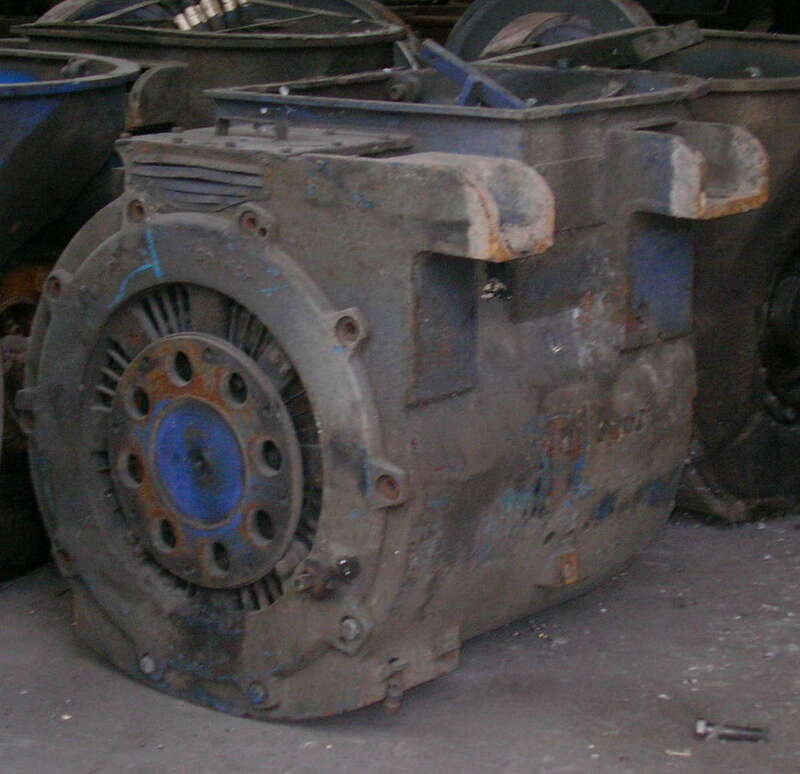 This is an old traction motor unmounted from a freight locomotive , wich was modernised and get new motors. Note the broken coupler disk ! 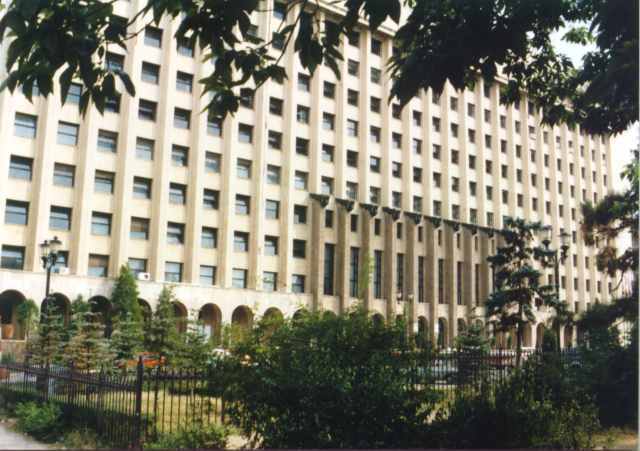 Water tower in Iasi station. Date: January 29th, 2006. Brand new multiple speed stages signaling in Bucuresti Nord station. Date: April 13th, 2005. 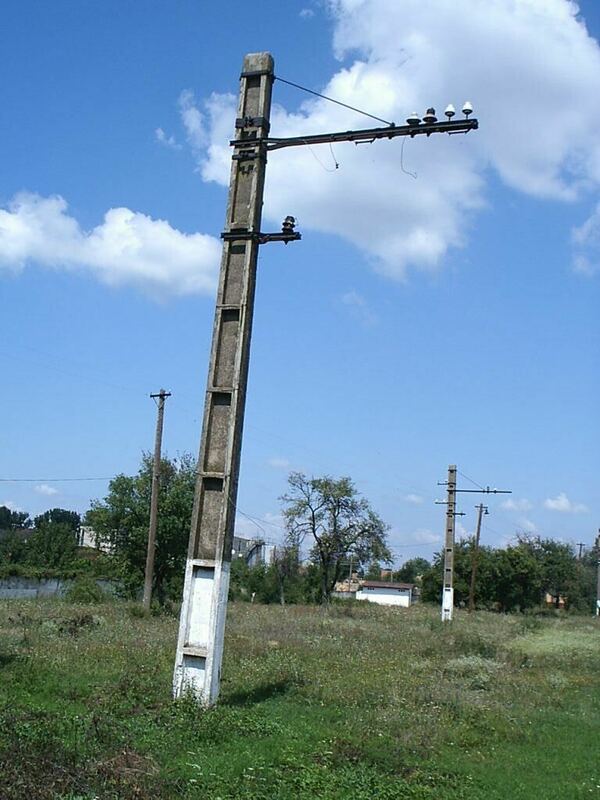 Catenary pillar near the depot in Pancota (Romania). 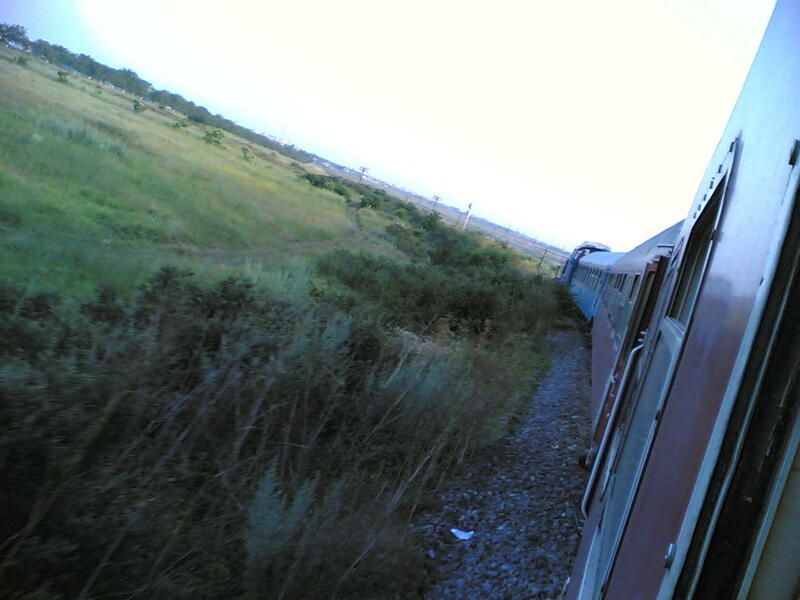 Suburban train from Constanta heading to Mangalia, at the exit of Neptun station. 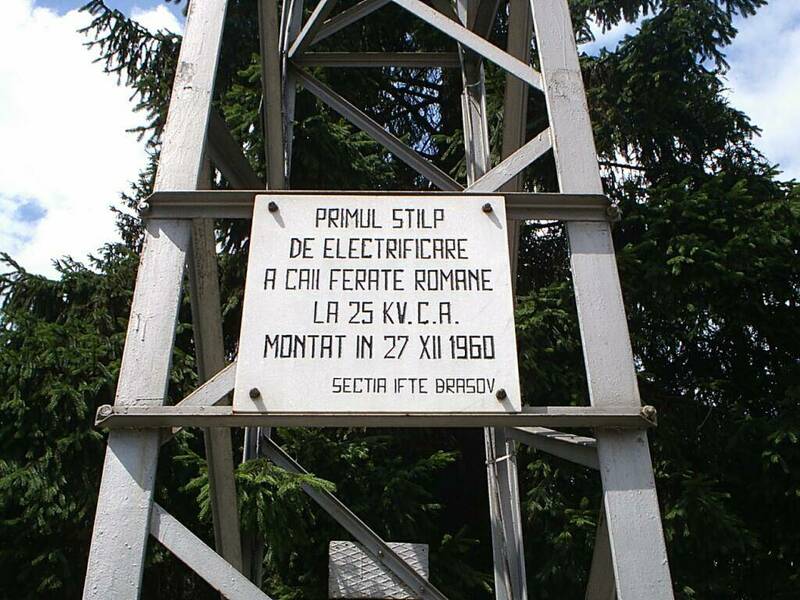 Here started the electrification in Romania. The plate mentions the event which happened in 27th of december 1960 (three days after Christmas!!) - Predeal, Romania. 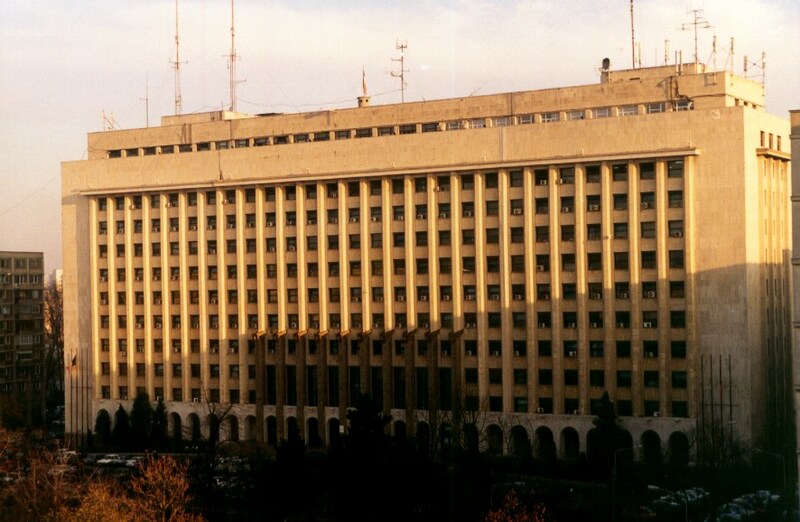 Photo by: Andrei Frangopol (andreif@inext.ro) and Daniel Daraban (dannycbg@yahoo.com). Date: 1st of august 2004. 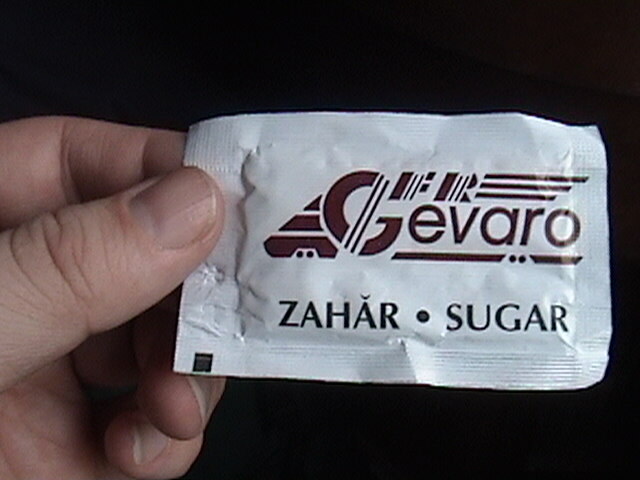 This is the rear side of a packet of sugar, provided with a cup of coffee on the CFR (Romanian Railways) Bosfor train from Istanbul to Bucharest-Nord. 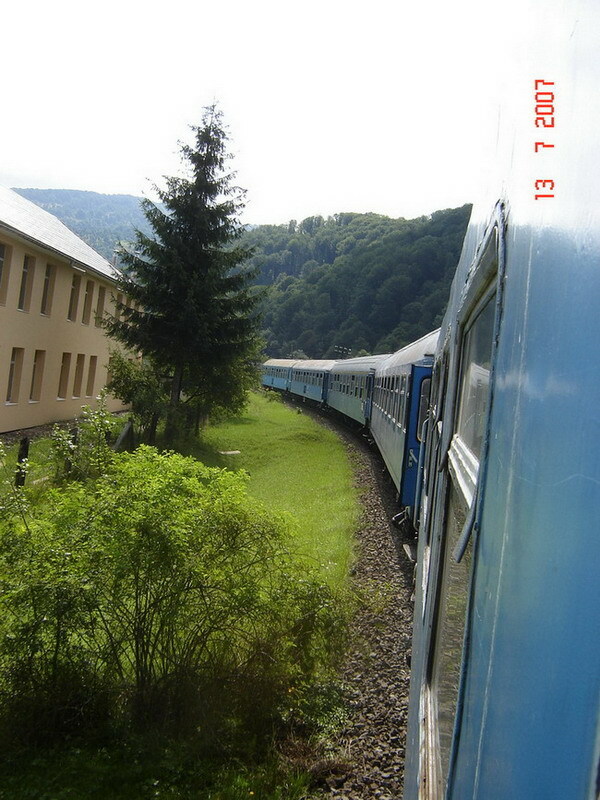 A cup of coffee on the Bosfor train costs € 1.00 or the local equivalent in Bulgarian Leva, Turkish Lira or Romanian Leu, depending on the physical location of the train. Note I was in Bulgaria at the time of the coffee purchase. 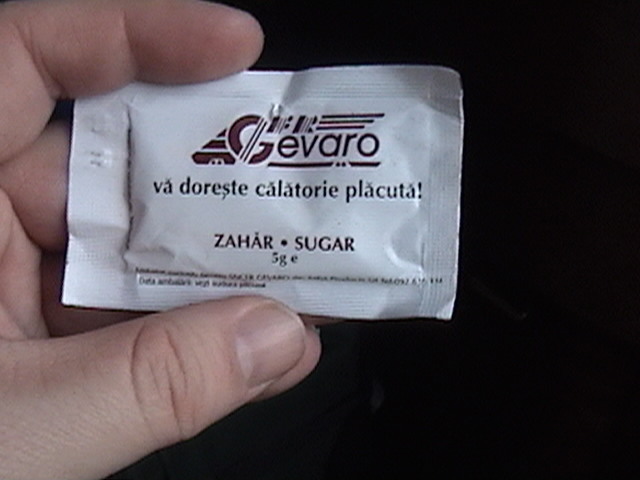 This is the front side of a packet of sugar, provided with a cup of coffee on the CFR (Romanian Railways) Bosfor train from Istanbul to Bucharest-Nord. 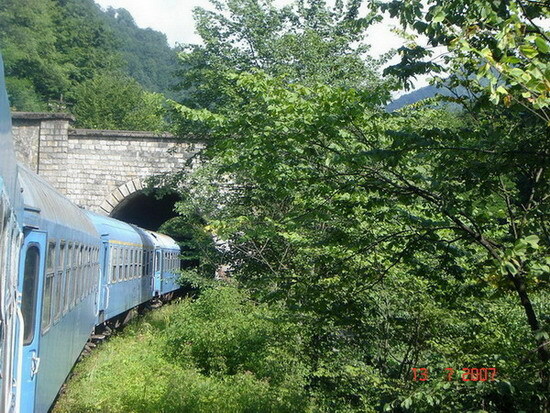 A cup of coffee on the Bosfor train costs € 1.00 or the local equivalent in Bulgarian Leva, Turkish Lira or Romanian Leu, depending on the physical location of the train. Note I was in Bulgaria at the time of the coffee purchase. 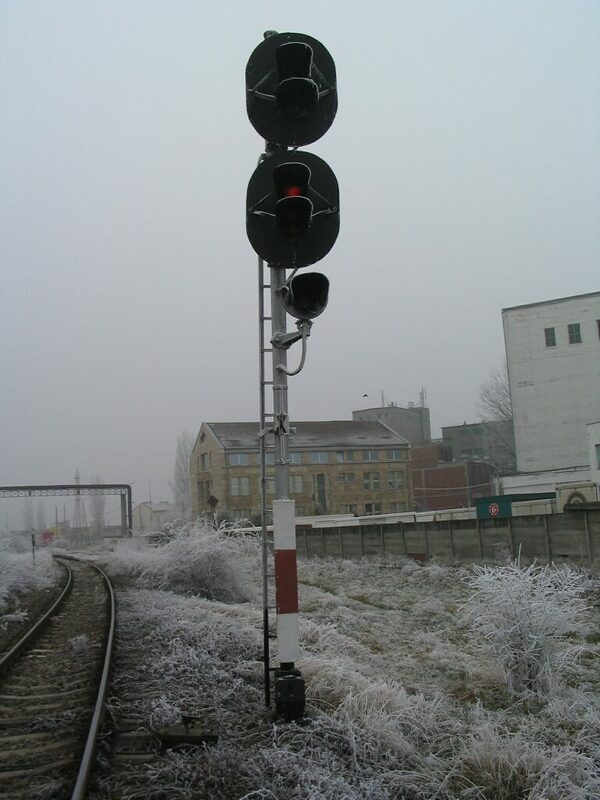 A frozen signal on the line from Arad to Arad Vest-Pecica-Nadlac. Photo by: Daniel Daraban (dannycbg@yahoo.com). Date: 12th of December 2005. 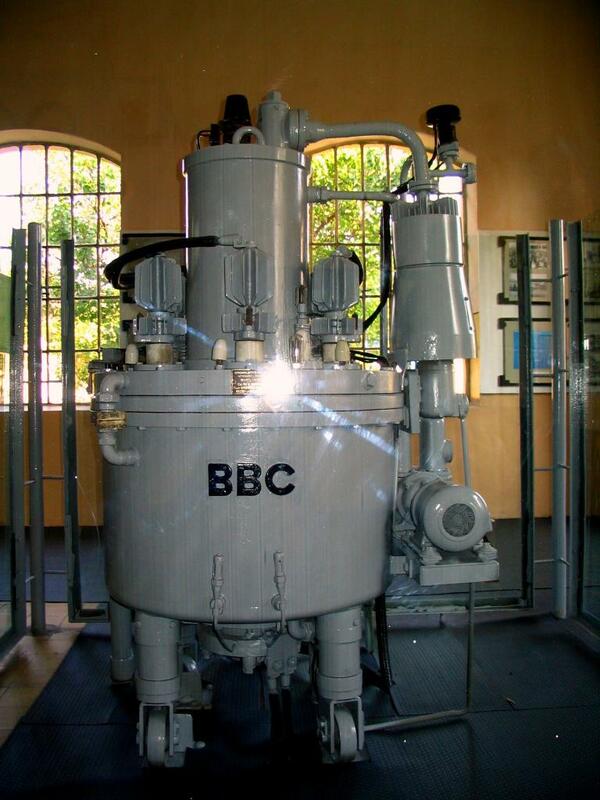 BBC-built (1925) mercury arc rectifier, once used to supply 1500V DC for the Ganz EMUs running on Arad-Podgoria line. Photo by: Daniel Daraban (dannycbg@yahoo.com) and Andrei Frangopol (andreif@inext.ro). Date: 1st of October 2006. 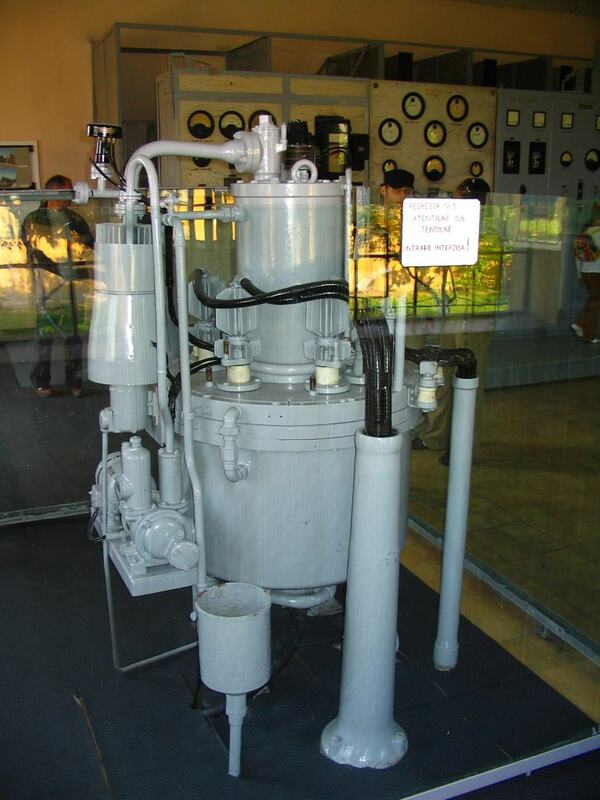 BBC-built (1925) mercury arc rectifier, seen in the Museum of Arad-Podgoria line, Ghioroc. 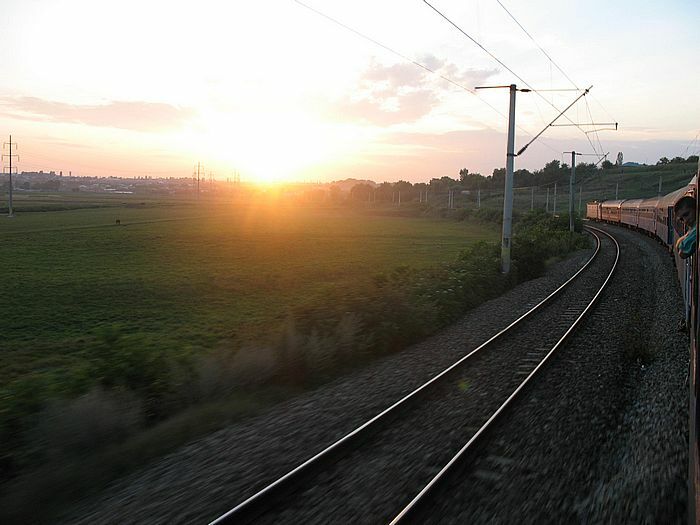 This is what we could see on the other side of the train. 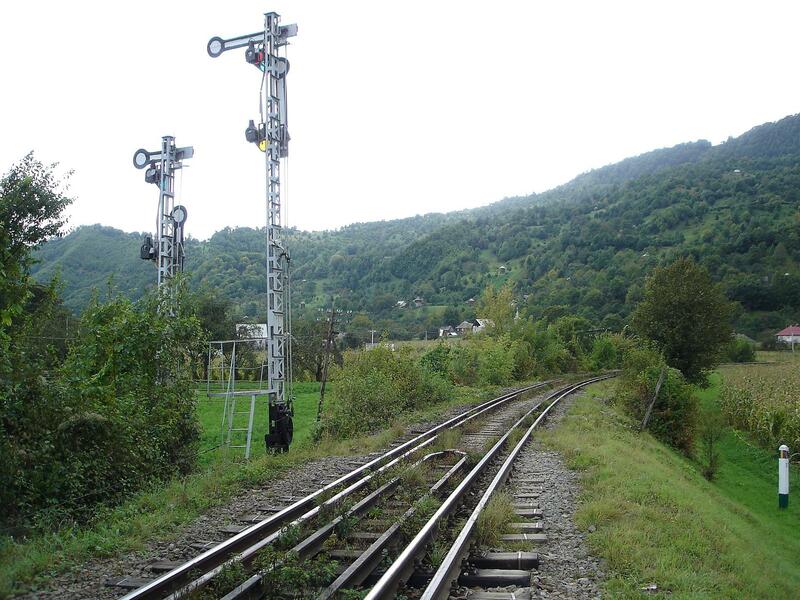 ... some railway signals. 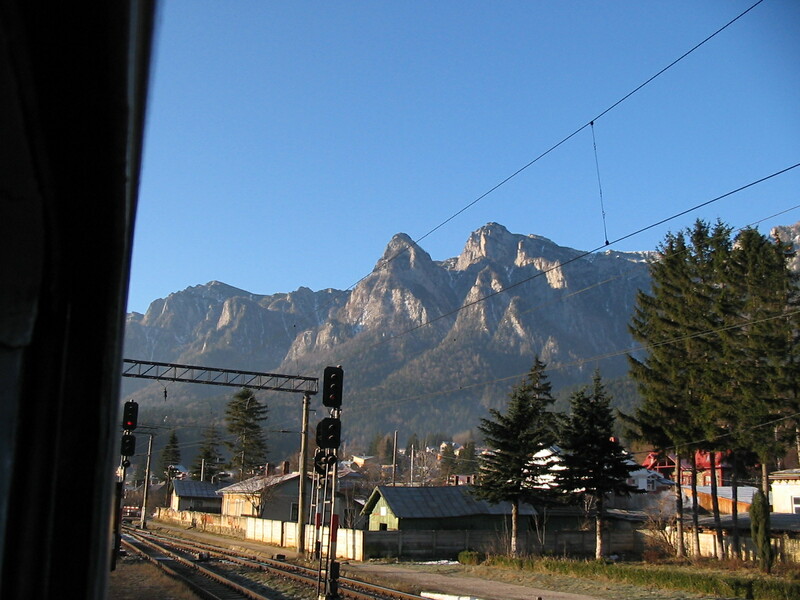 Prahova, December 2004. 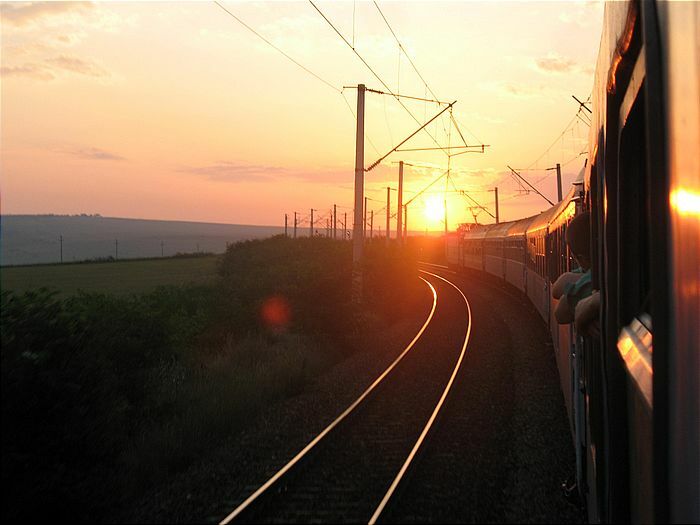 Ceci est que nous pourrions voir sur l'autre c�t� du train. 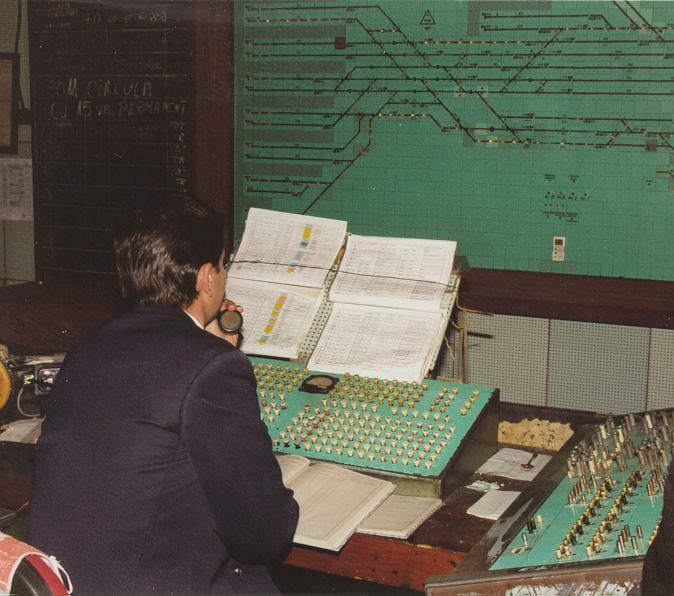 ... quelques-uns signalent pour le chemin de fer. 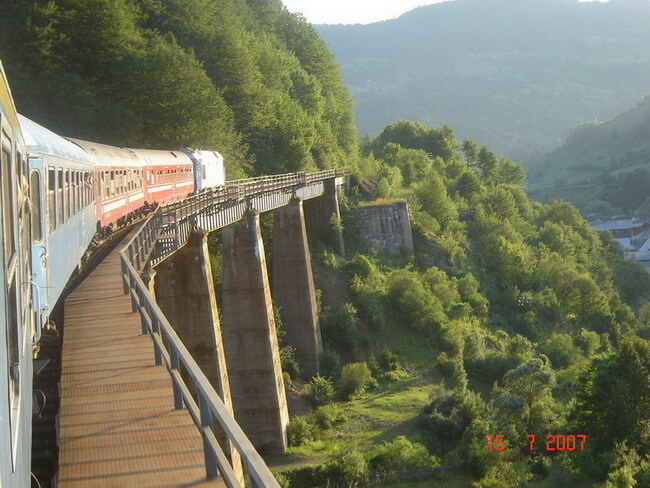 Prahova, d�cembre 2004. Dies ist, was wir auf der anderen Seite vom Zug sehen k�nnten. 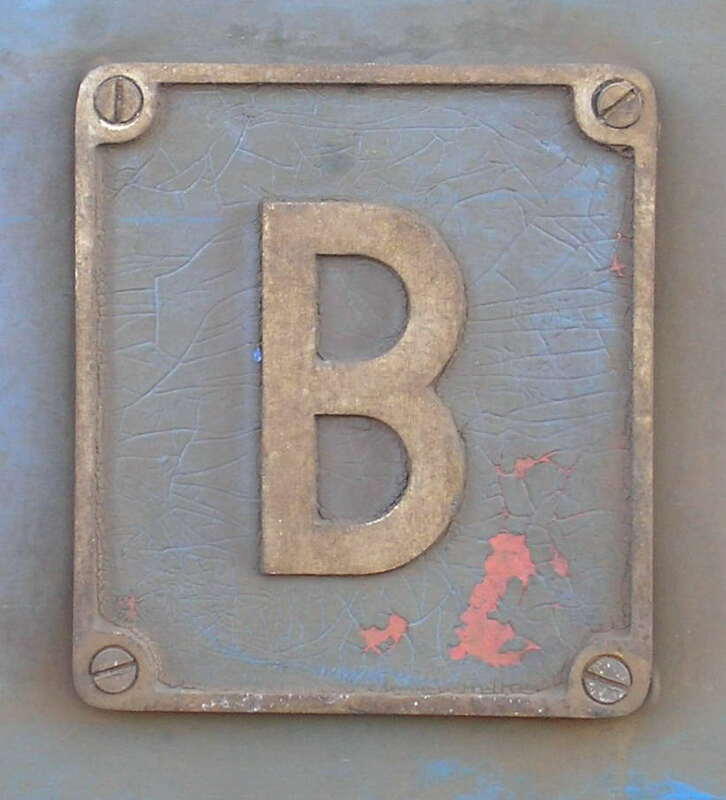 ... eine Eisenbahn signalisiert. 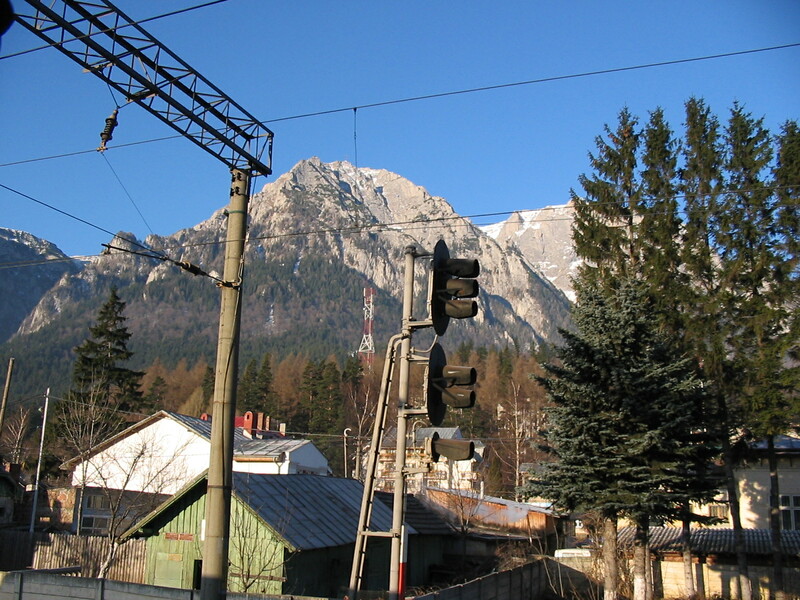 Prahova, Dezember 2004. 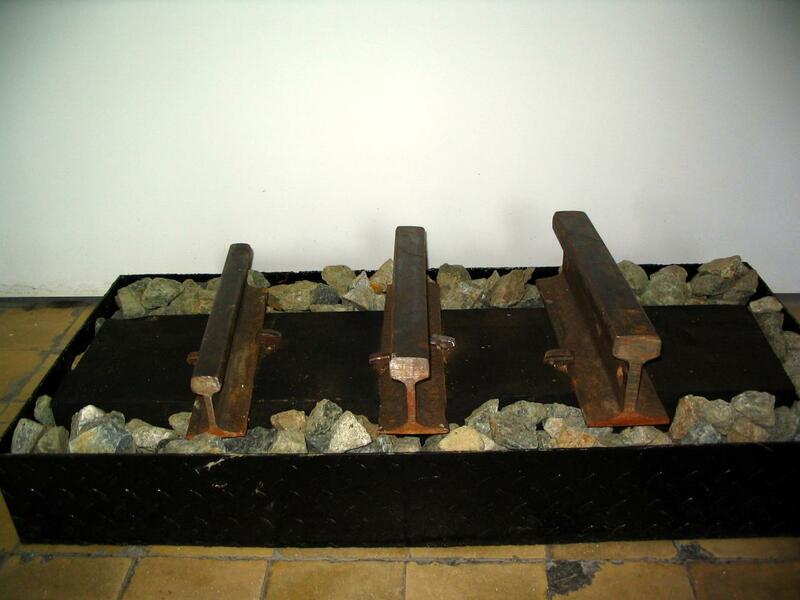 Different tracks used on Arad-Podgoria narrow gauge electrified line. 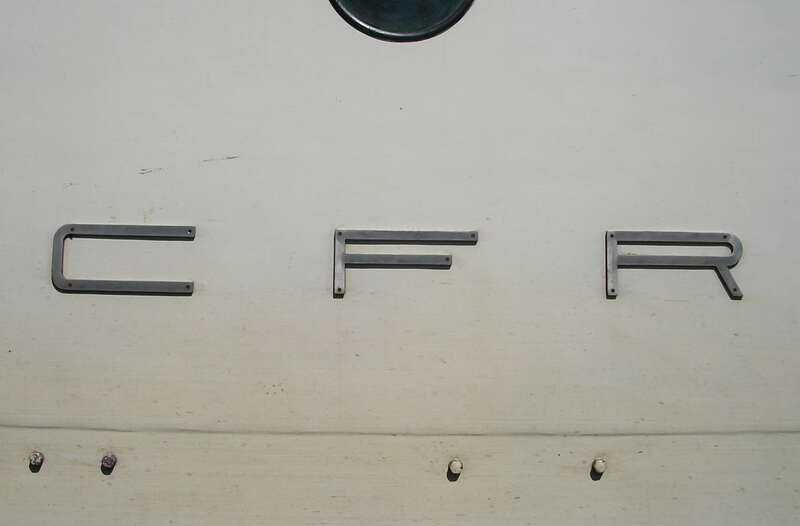 From left to right, CF 15,7 (1906), CF 23,6 (1934) and CF 34 (1966). Seen in the Museum in Ghioroc.